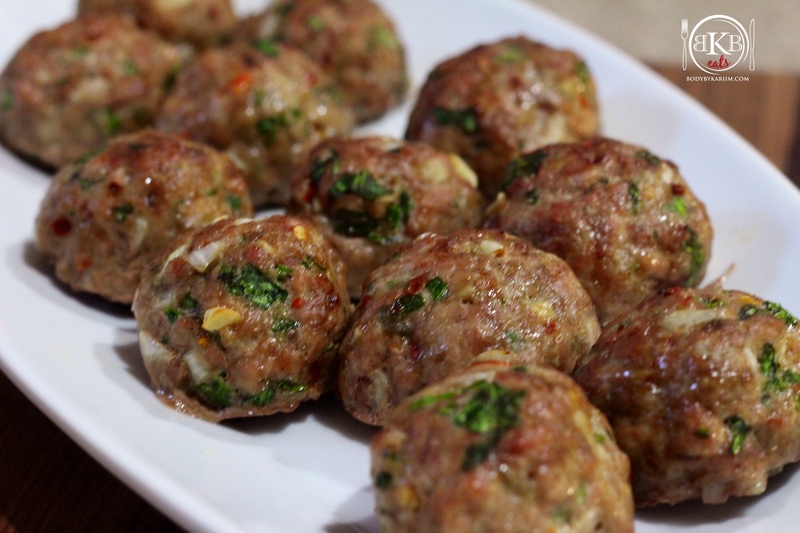 Try these turkey meatballs as a delicious meal or snack! Our turkey meatballs are made with lean ground turkey & organic spinach. Protein packed and full of flavor! Place ground turkey in a large bowl. Massage all ingredients into the turkey. 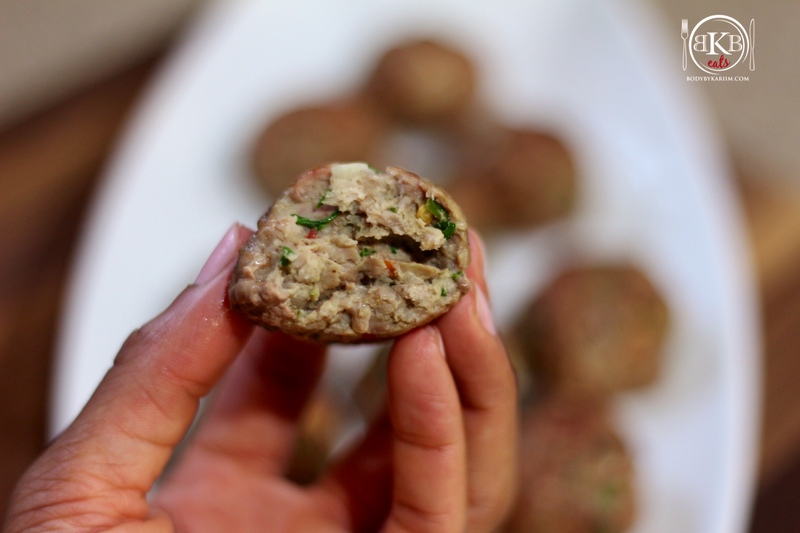 Scoop ground turkey into your hand and begin to form small meatballs. Place each meatball on the parchment paper. Just finished making these. They are awesome! Thanks BBK eats! You’re welocme! Glad you enjoyed them 🙂 Check the Q & A section for the Must Have Seasonings Post.